Have you seen any of the new LED lights on campus? They are replacing the old fluorescent and metal halide fixtures, with dramatic results. You have likely heard that LED bulbs save energy, and may have already converted bulbs in your house, but the same is true at the Med Center. So how much are we really saving? LEDs emit lumens using substantially less watts. The light comes from small diodes so they are easily dimmable and emit less heat thereby reducing cooling costs. Back to the savings. 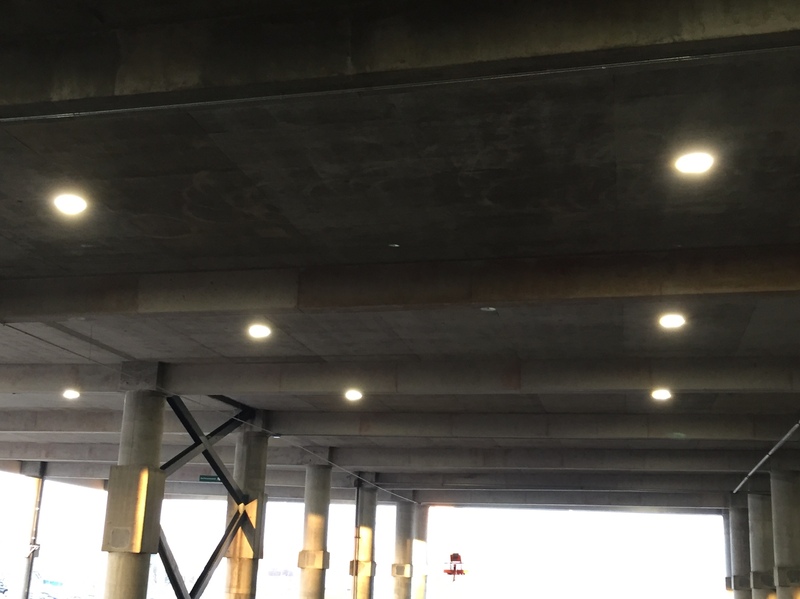 Lot 50, the parking garage south of the DOC, recently had all 498 fixtures converted to LEDs. The size of that garage added to the fact that it is used 24/7 meant that those lights were 8,760 hours a year. Switching to LEDs results in an annual energy reduction of 750,601kwh. That’s enough energy to power 70 average U.S. homes! It will also save the Med Center ~$48,000 per year in electricity while reducing pollution created by burning coal…and that’s just one parking garage! The Med Center is taking advantage of an OPPD rebate program and using the realized energy savings to purchase more LED fixtures to continue the savings. This is especially true when bulbs are in a vaulted ceiling like an auditorium, or always-busy spaces like the O.R. or a patient room. Greater control of the system also allows daylight harvesting and motion-sensing so lights are only on when they need to be. LEDs will continue to be installed, based on total building use and install schedules, but you’ll be happy to know that all new buildings and remodeled spaces will have LEDs. Previous Previous post: How Much Is Your Time Worth?